“Tokubetsu,” which translates to “special selection,” is a vague term much like “reserve” in the wine world. More often than not it refers to a sake with non-ginjo attributes but polished to a ginjo level. Confused? Don’t worry, you’re not alone! Consider this: Fruity aromas such as honeydew melon define ginjo styles, yet these aromas are largely generated through fermentation, not polishing. Sakes made with highly polished rice but fermented in a way that does not produce an abundance of fruit flavor are great candidates for the “Tokubetsu” moniker. 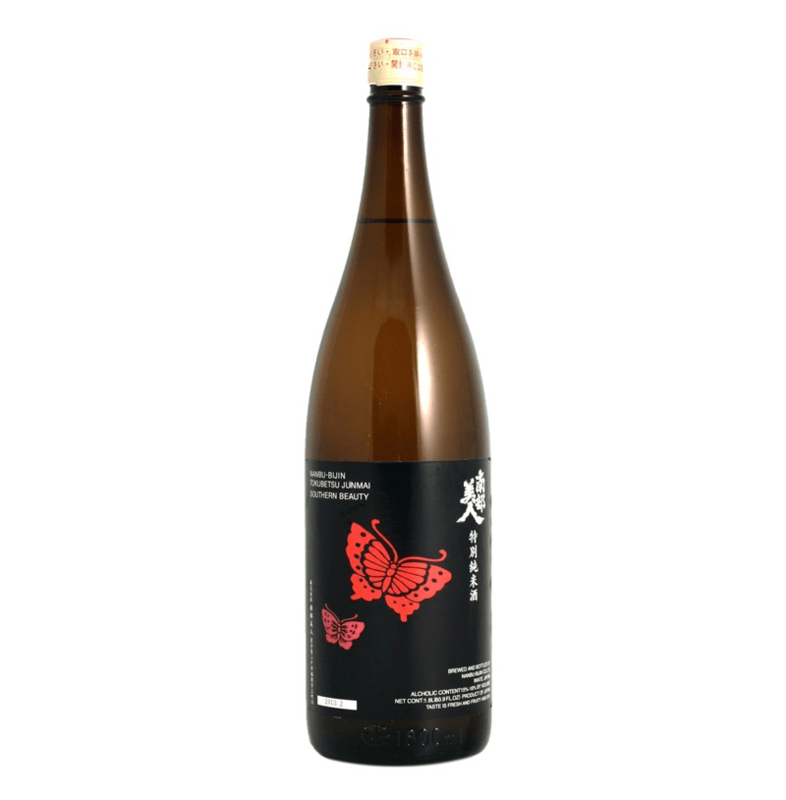 Also, there are cases in which a brewer wants to release a sake that’s just a shade less refined than their Junmai Ginjo yet finer than a Junmai. While the brewer could release it as a Junmai Ginjo, offering two sakes of the same designation would be confusing. This is a perfect opportunity for a “Tokubetsu” bottling. To my palate, Nanbu Bijin “Southern Beauty” falls under the latter. It starts off with a pleasing aroma with plenty of ripe fruit such as green and red apple, pear, orange, mango, and marshmallow. This beauty boasts a pillow-soft and creamy texture to complement it flavor. The sake feels a bit heavier-weight than a ginjo, and while it’s semi-dry, a healthy dose of acidity provides lift. There’s no pronounced umami to be found, so I’d recommend enjoying it slightly chilled or at room temperature. All told, Southern Beauty is an affordable, high-quality, and food-friendly brew that’s well worth a purchase.